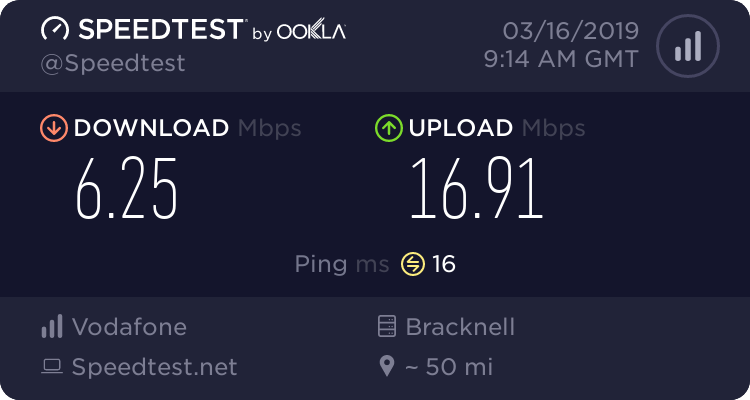 Noticed over the weekend improved speeds, still good now. Peak and off peak both good. Not found anything buffering, even newsgroups are max speed without the need for VPN. Still rubbish in Gosport for me at between 5 and 7am this morning. Yep, on Sunday suddenly it went pants again - ah well, was a week and a bit of good speeds. So they fixed it and then broke it again? It was probably one pipe that got fixed, and then they've probably put everyone on it while they fix the other pipes. You'll probably see things get better as they load manage their network again. 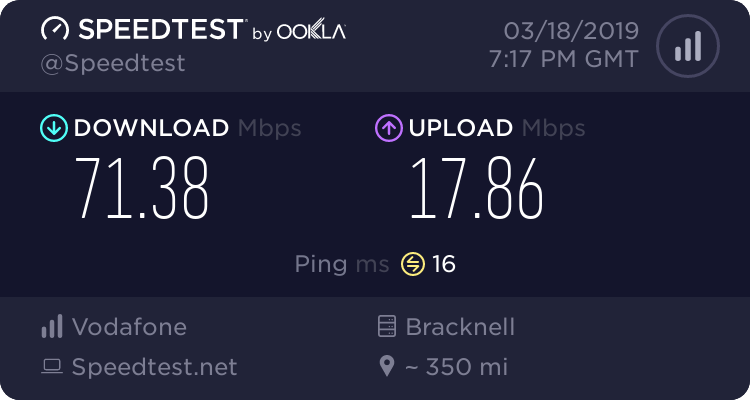 Was good for a week but now not as snappy and speed tests start fine then slow by the end of the tests..
Get Gigafast installed in just over a week. Will be interesting to see if this changes things or it is all using the same systems.